Posting valuable, popular content. That’s what we all strive to do. Engaging with our readers in a meaningful way that results in Likes, Tweets, Shares, Followers and lots of great comments. It doesn’t just happen by accident, well it may once or twice – but to consistently post content that incites this action involves a bit of data analysis! 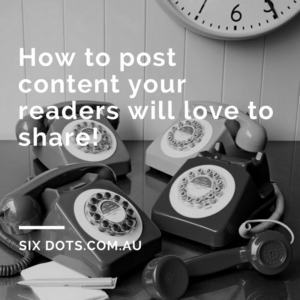 It takes time to produce content and you want to make sure that you get the most Bang for your Buck – so lets have a look at How to Post Content your readers will love to share! 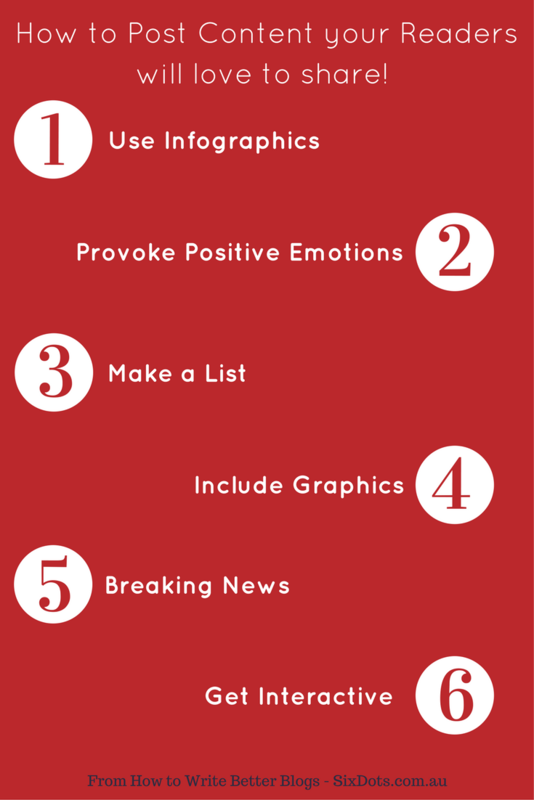 Infographics are THE MOST socially shared form of content…ever! They trick your brain into reading (which is normally hard work) and we process pictures faster than text so the mix is perfect for getting your point across! 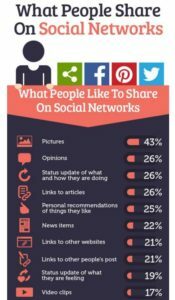 Research by the Social Media gurus over CoSchedule shows that “Posts with a higher emotional value get more shares and Not Surprisingly it’s the Happy Emotions that inspire people the most!” So happy content = popular content! The second most popular content format…the list! Whether it’s a How To, Top tips or Why Posts; Lists prove to have the most reliable social traction. Is it because we are hardwired to pay attention to lists…. it could be the reason we are compelled to read and share them! If you can’t use an infographic then at least make sure you use an image! 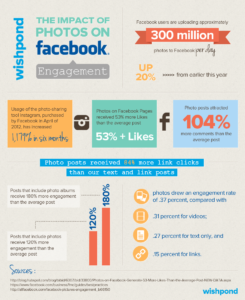 Tweets with images are 150% more likely to be shared than those without and posts with albums receive 180% more engagement on Facebook. So get your camera out! In raw data, breaking news get more shares than any type of article. So if you can be at the cutting edge of what’s new . . then get it out there! If not, maybe try another post in this list! The most read article on the NYTIMES.COM wasn’t an article at all… it was a quiz! You have probably noticed your can’t open your facebook feed without being inundated with quizzes. People love to interact and you want to interact! So work out how you can create a 2 way communication with your audience. So there you have it! You know your audience, and you know what they want to read so you can use the above to deliver it in a format that they will find most valuable!